“Colossally! That’s Mansell! That is Nigel Mansell” - Murray Walker uttered those iconic words when Mansell’s right-rear tyre exploded in Adelaide, effectively ending his chances of winning the championship. 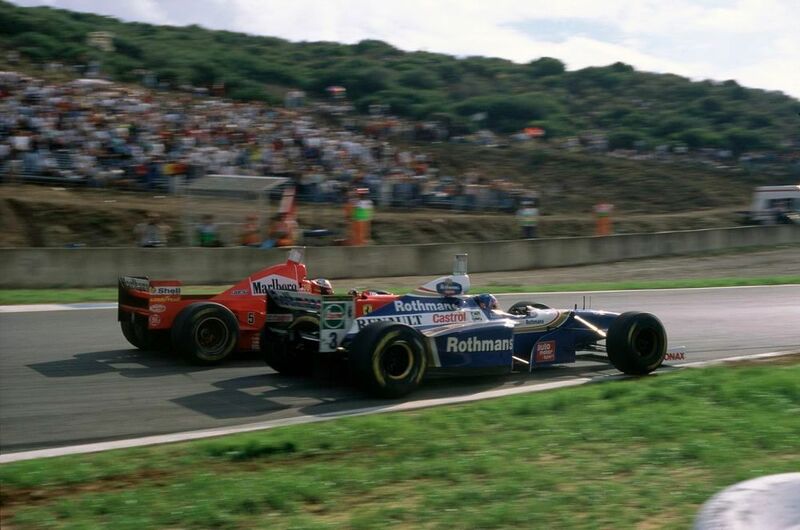 To make matters worse, Williams was so worried about the same thing happening to the other car that Nelson Piquet was brought into the pits for fresh rubber, handing the lead to Alain Prost. Piquet did his best to regain the lead and win the championship but came up short. Prost won the race and the championship, somehow having defeated the faster Williams’ over the course of the year in one of the finest seasons a driver has ever put together. Things were less good for McLaren teammate Keke Rosberg in his final season in F1. He’d only finished on the podium once all season but was looking set to end his career with a bang having led pretty much the entire race, only for things to end with a literal bang when his tyre exploded, just a lap before Mansell’s did. 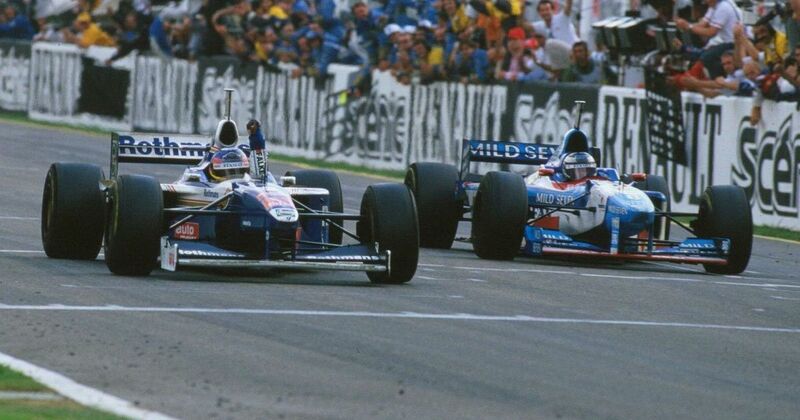 It was Michael Schumacher vs Jacques Villeneuve for the title - Schumacher had the points lead, but it was so close that it effectively boiled down to whoever beat the other would win the championship. Schumacher got the best start and claimed the lead but after the final round of pit stops, Villeneuve had the pace. He reeled in the Ferrari and, on a track where overtaking was tough, knew he’d have to be aggressive to make a move. He made a lunge up the inside but Schumacher was having none of it and, after a brief hesitation, decided to simply turn in on his rival. It didn’t work. Schumacher went off into the gravel whilst Villeneuve - whose car was damaged but ultimately still driveable - was able to carry on. In the closing laps, Villeneuve allowed both McLaren drivers ahead of him as Mika Hakkinen won his first race, while third was enough for the Canadian to take the title in his second season. As for Schumacher? The FIA seemingly had enough of drivers hitting each other in the final race and quite rightly elected to disqualify him from the entire season. Joe Fry (born 1915) competed in the first world championship grand prix at Silverstone in 1950, but was killed in a hillclimb just a few weeks later. Jonathan Williams (born 1942) had the unusual honour of being a works Ferrari F1 driver in his only F1 race, at Mexico in 1967, where he finished eighth. Ian Ashley (born 1947) had a sporadic F1 career that lasted from 1974 to 1977, where he entered 11 races for five different teams including Token, a privately-entered Brabham, Williams, BRM, and Hesketh. He only qualified for four of these, though, with a best finish of 14th.